The Back Story: It&apos;s safe to say Motorola&apos;s been dominating the Android handset market. Early this year, the company shut the game down with the release of the first dual-core handset, the Motorola Atrix, alongside the most innovative smartphone accessory to date: the laptop dock. But after taking numerous editors choice awards, including top honors on our Top 15 Android Phones Available Now list, and seeing strong outings from other best-of-year candidates like the HTC Sensation 4G and Samsung Droid Charge, AT&T&apos;s powerhouse has yet to be dethroned. So the question is this: Does Motorola have what it takes to create another Android phone of the same caliber on a different network? Yes. 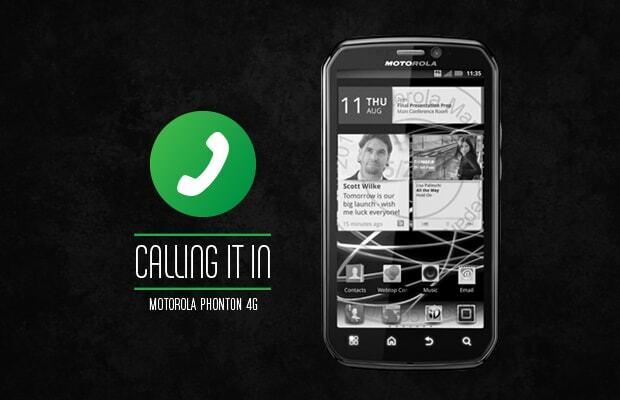 Enter the manufacturer&apos;s latest creation: the Motorola Photon 4G. Touting a number of high-powered specs that include a dual-core processor, 4G speed, and upgraded software, as well as some new state-of-the-art accessories, all signs point to Sprint having one of the most powerful handsets on the market. How high does the Photon 4G rank among the network&apos;s Android elite? And can it stand toe-to-toe with Ma Bell&apos;s baby boy? • Sprint&apos;s most powerful handset: All the hallmark specs that you would expect from a high-end Android device are present here. NVIDIA&apos;s Tegra dual-core chip does what it does best: push faster performance speeds and handle multitasking with ease, while producing beautifully rendered graphics and animations during 3D gaming sessions. The performance boost can be attributed to the 1GB of RAM and 16GB of onboard memory found underneath the hood. The front also comes laced with scratch-resistant Gorilla Glass that protects the bright 4-inch qHD display, which produces crisp visuals and sharp 520x960 pixel resolution. As far as software, you’re looking at the latest versions of MOTOBLUR and Gingerbread (Android 2.3.4). Even though Motorola’s UI isn’t the most favorable, it still offers some great productivity and social media options. The most noticeable of the bunch is the 4G Toggle widget—allowing users to turn off WiMax service and conserve energy. Other widgets like Social Networking come in handy by combining all your social media accounts into one place. But what we loved most was how Motorola optimized its software to coincide with the built-in kickstand: apps automatically switch the landscape mode when in use. • Entertainment and corporate beast: The Photon comes equipped with the most recent multimedia and business features of any Android handset to date. Play all the major video formats (MPEG4, WMV, XVID, DIVX), as well as standard music files. Speaking of music, Moto gives its custom music player a major facelift by coalescing Internet radio stations, FM tuner with autoscan, Amazon MP3 recommendations, and concert-ticket information into the mix. On the corporate end, the handset serves as a world phone and carries the same security facets as the Droid 3. The device also supports DLNA and hotspot capability, plus there&apos;s a Motorola Portal app that lets you manage content from your PC via wi-fi. • Futuristic design: Motorola takes the solid build quality of its last Sprint offering, the Motorola i1, and fuses it with the stylish finesse of its RAZR series. The contoured edges, along with the rigged volume rockers and dedicated camera button give the device a more modern appeal. Plus the soft-touch jacket is smooth on the hands and provides firm grip control. Even though it weighs in at a hefty 5.6 oz, the phone feels much lighter and sturdier than HTC’s 3D behemoth. • Additional accessories: Just like HTC and its patented built-in kickstand, Motorola has carved its own niche by building innovative add-ons for its Android handsets. This time instead of a laptop dock, it introduces a webtop dock that transforms the device into a nettop thanks to a few productivity apps and Firefox integration. The dock sports three USB ports, an HDMI port, and comes bundled with a remote to control all media functions. Motorola also sells an adjustable car dock that features its own app and supports voice commands, web browsing, and more. • Great price options: Aside from the EVO 3D, you won&apos;t find a more dynamic Android phone in Sprint&apos;s line-up with this price point. And for those working on a back-to-school budget, know that RadioShack is also running an insane promotion at the moment: selling the Photon for just $100. • Weak 4G service: WiMax coverage in the Tri-State area is usually good, but Moto’s handset struggled to hold a strong 4G-signal through most parts of New York City. Data speeds also clocked in at a disappointing 3Mbps and updates took longer than expected to complete. • No laptop dock: As dope as the webtop dock sounds on paper, the truth is it doesn’t even provide the laptop-like experience that the Atrix’s laptop dock offers. Plus, the fact that you have to connect several USB-compatible accessories to fully enjoy it brings down its stock value. 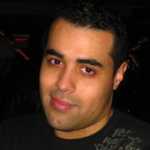 • Disappointing rear camera: Mobile photogs in the market for a high-quality camera phone will have to look elsewhere. The rear 8MP captured grainy and dark shots, plus we noticed some lag present in the auto focus, which caused a majority of our interactive shots to come out hazy. Video on the other hand was impressive. Final Say: Aside from its mediocre 4G service, the Motorola Photon 4G easily stands out as Sprint’s most definitive Android phone yet. Network subscribers have been yearning for a high-powered device cut from the same cloth as Motorola’s AT&T powerhouse, and now they have just that. The dual-core holds its weight in performance and produces speedy results, while the enhanced multimedia- and business-centric features give users a solid all-around experience. There’s also some fun to be had with Motorola’s accessories, which are reasonably priced when compared to its laptop counterpart. Take all of that into account and you can see why the $200 price tag is practically unbeatable. If you can score an incredible deal online, like the one RadioShack is pushing, then there’s absolutely no reason why you shouldn’t pick up Motorola’s latest monster.